The new Mercedes C-Class hits our shores in September and the impressive offering has five engines for its three-model line-up. Read our review for all the details. Buyers should expect the new C-Class to set the benchmark for economy, refinement and standard equipment in the segment with standard kit for the range including roof rails, powered tailgate and split folding rear seats. The entry-level Mercedes C-Class is the C 200 which has a petrol engine producing 184hp and has CO2 emissions of 128g/km. The engine is coupled to a very good six speed manual or a seven speed automatic gearbox. 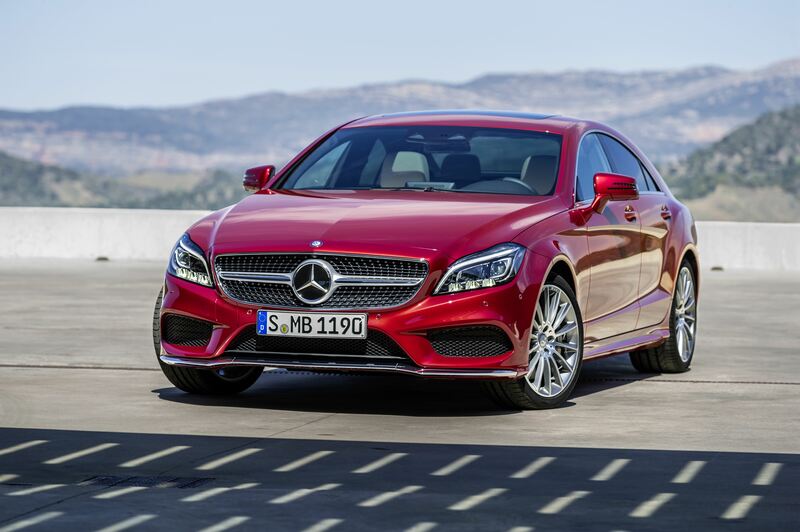 New Mercedes C-Class review: take a bow! There are also two diesel engines: the 220 BlueTEC produces 170hp with CO2 emissions of 108g/km and there’s a 250 BlueTEC producing 204hp with CO2 emissions of 117g/km. Mercedes says that another two engines will join the C-Class line-up later in the year and they will be the C 200 BlueTEC diesel and the C 300 BlueTEC Hybrid. In addition to three models, there are also four option packages including a ‘Premium’ package which will add a panoramic glass sunroof, ambient lighting system and a keyless system – there’s also an electric seat memory package. Drivers who like to take control for their handling can opt for an agility package which will fit their suspension which is self-levelling and can be raised by 25mm when required. Prices start at £28,055 OTR for the Mercedes C-Class. Hot on the heels of the announcement of prices and spec for the Mercedes C-Class comes news of the new generation Mercedes CLS Coupe and CLS Shooting Brake. Both models come with a new look and have stacks of new technology fitted. In addition they have a lower starting price and the AMG variants have even more performance than previous models. The Mercedes CLS also features a new six cylinder petrol engine – the CLS 400 – which will produce 333hp. However, the best engine is in the top-of-the-range Mercedes CLS 63 AMG S which will go from 0 – 62mph in just 4.2 seconds thanks to its engine producing 585hp and impressive torque of 800Nm. It comes as no surprise to hear that this model has limited slip differential fitted as standard. Prices for the Mercedes CLS 220 BlueTEC start at £46,500 and for the Mercedes CLS Shooting Brake variant they start at £48,080. This entry was posted in Car Leasing, Cars, Executive Cars, New Cars and tagged C Class, cls shooting brake, lease the Mercedes C Class, mercedes, mercedes c-class, Mercedes CLS Coupe by Steve Lumley. Bookmark the permalink.